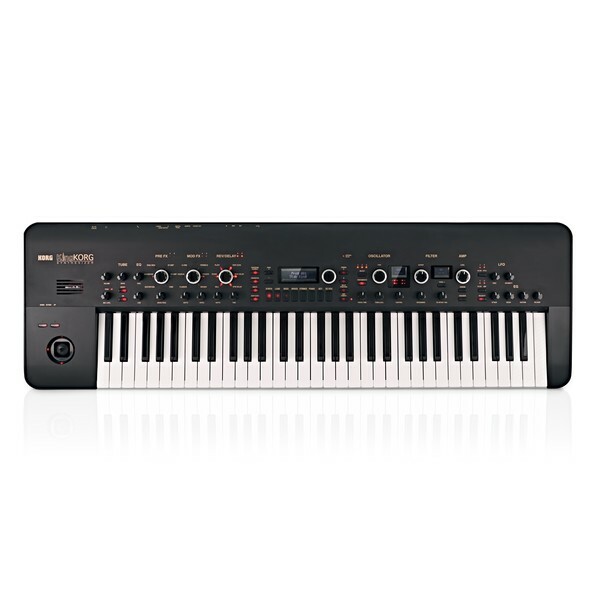 The Korg KingKorg is a powerful, 61-key analog modelling synthesizer featuring over 200 built-in preset programs now available in a sleek, black finish. 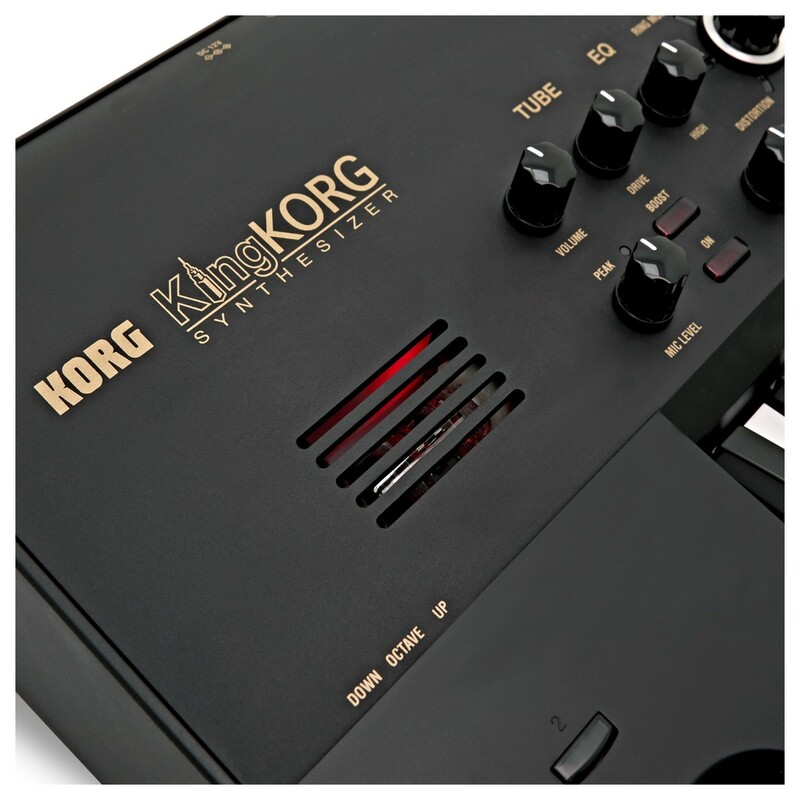 The KingKorg features powerful oscillators designed for both beginners and professionals. The Vacuum tube driver provides the classic, vintage sound the KingKorg produces, with exceptional warmth plus rich overtones and powerful distortion. The intuitive layout makes it perfect for both studio and stage applications, with the built-in OLED displaying visual feedback on your waveforms and sounds. 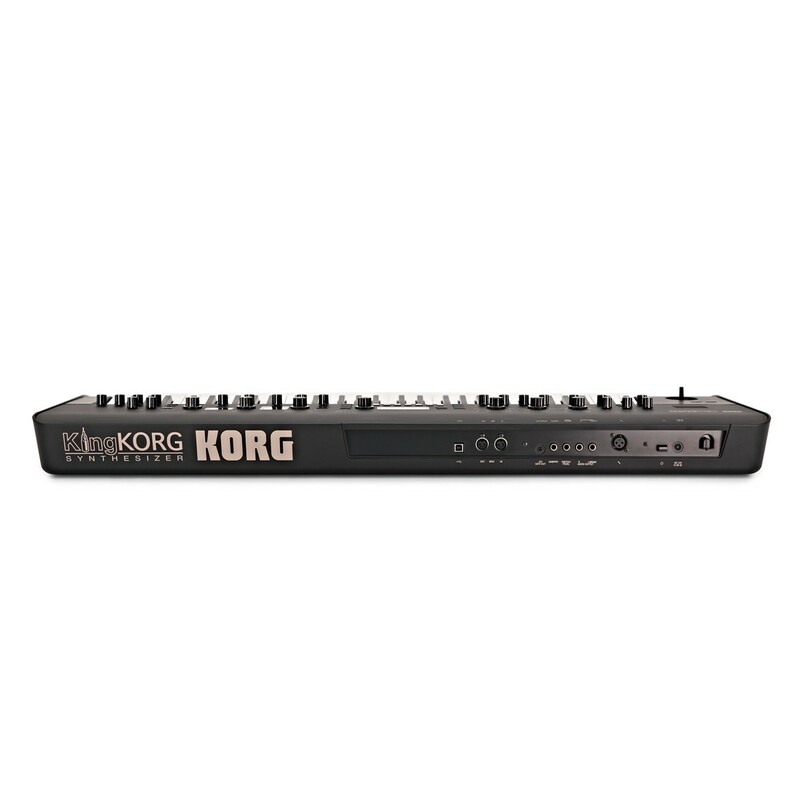 The Korg KingKorg is a powerful analog modelling synthesizer ideal for both stage and studio. 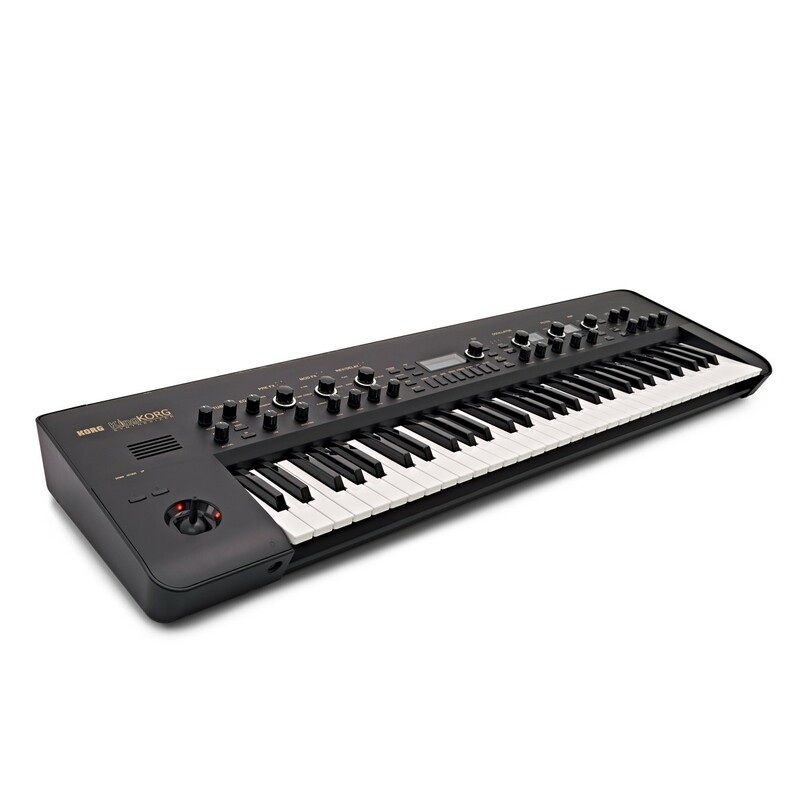 The KingKorg features a 3-oscillator x 2-timbre design, letting you create rich and articulate sounds on the fly. The powerful XMT (Xpanded Modeling Technology) sound engine produces the broad range of tonal variations the KingKorg delivers. 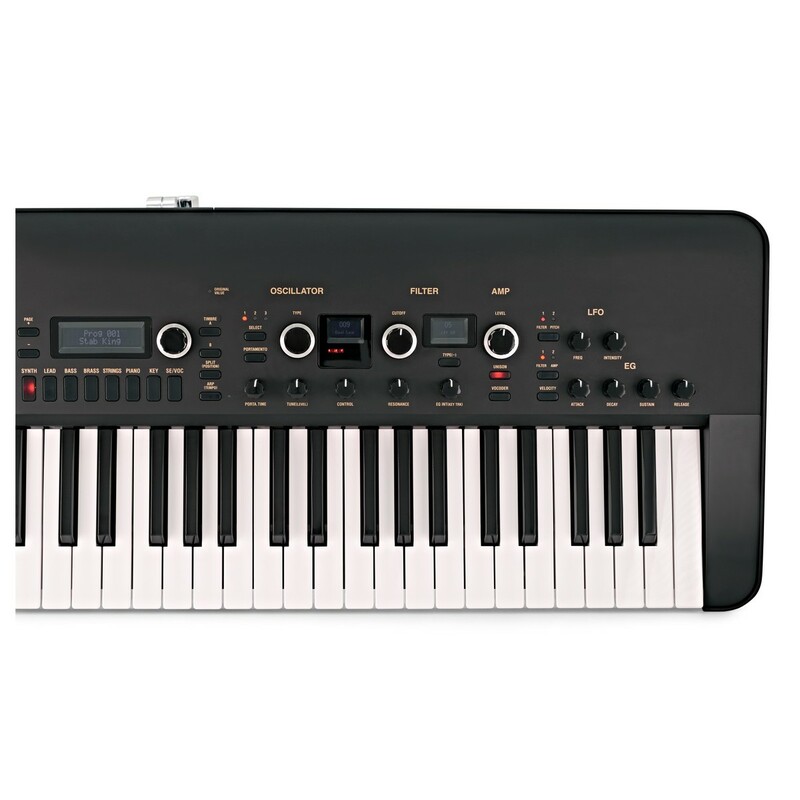 One of the most unique features of the KingKorg is the built-in Vocoder that makes it ideal for live performances. The built-in vocoder allows you to truly capture the sound of vintage synthesizer, providing the means to play like classic synth artists, transforming vocals into melodic sequences. 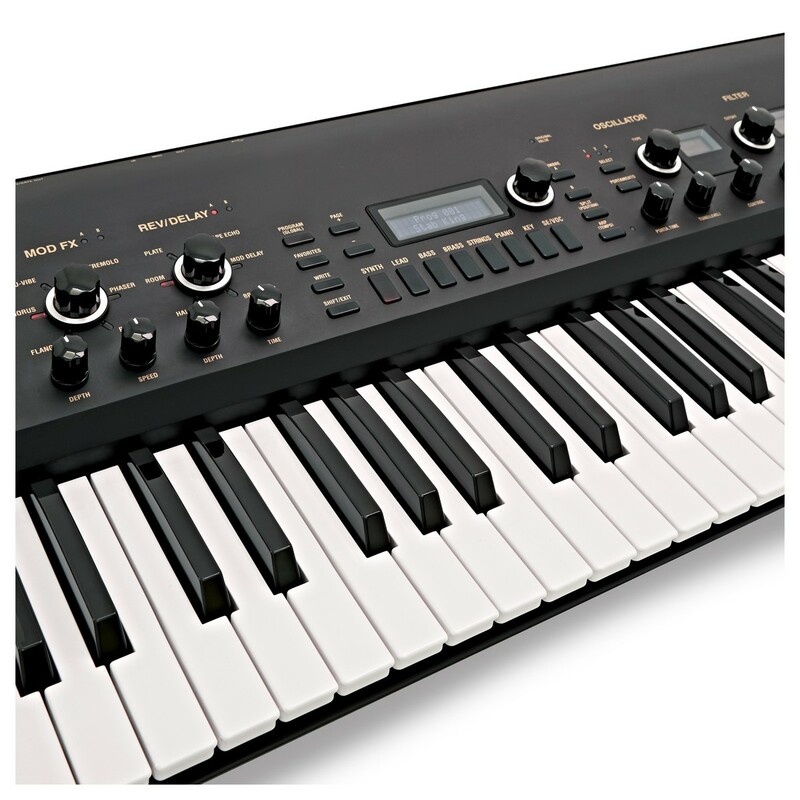 In addition, the Xpanded Modeling Technology sound engine, KingKorg provides a wide range of preset algorithms, ranging from rhythmic leads to deep, gritty basses. The 200 presets are combinations of various types of oscillators, that allow you to dive in and tweak every parameter to achieve the sound you desire. A range of the most popular oscillator algorithms including: Sawtooth Wave, Square Wave, noise and more. There are also a range of PCM/DWGS algorithms for added versatility, allowing you to create virtually any sound you can dream of. The Vacuum tube driver adds rich overtones and powerful distortion, giving your tones added warmth, like the sound was run through a Vacuum Tube amplifier. The modelling filters themselves reproduce the sound of classic instruments for a wide and varied range of sounds and instruments. 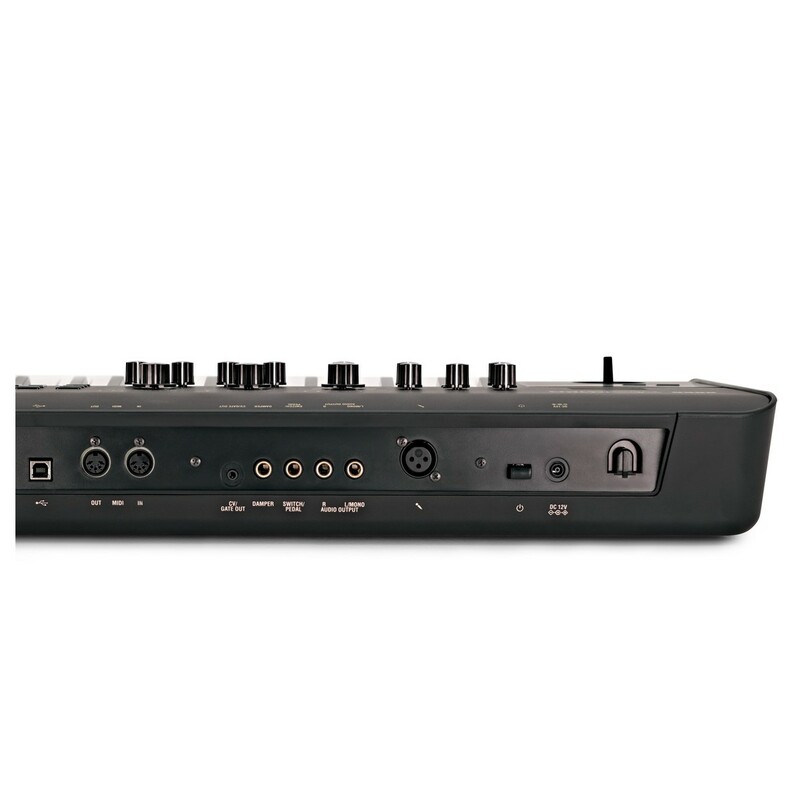 The highly intuitive layout provides you with all your major controls in an ergonomic configuration, improving your workflow and letting you create sounds with ease. The oscillator section features its own dedicated display that displays your current selected algorithm. The dial located next to the display allows you to find your algorithm by name for added convenience. There are also dedicated dials for each of the three master effects, allowing you to utilise the different effects to hear how they affect the sound. The self-luminous organic EL display provides optimal visibility, even in low-light conditions. 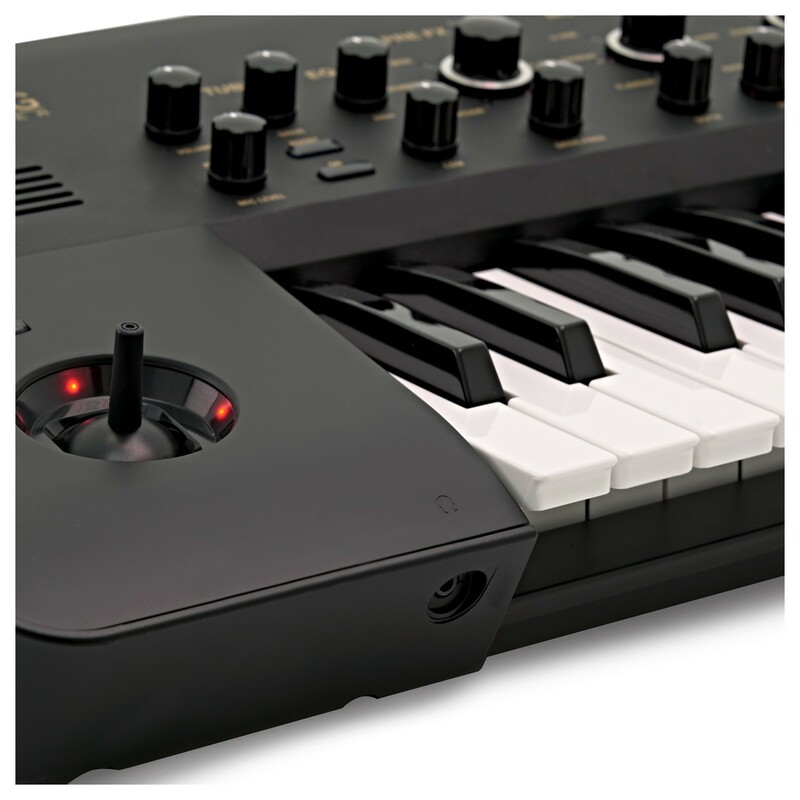 The CV/GATE OUT jack allows you to control a Korg Monotribe or MS-20, allowing you to utilise other Korg synthesizers for expansive functionality. 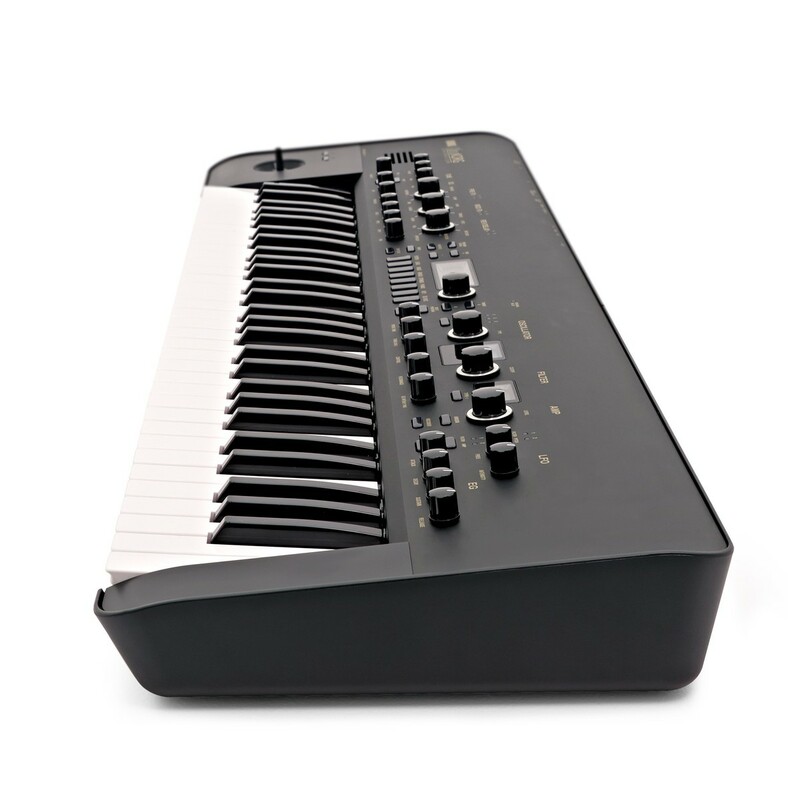 A dedicated cable for the Monotribe is included, which gives you the ability to use the Keyboard of the KingKorg to play the Monotribe. 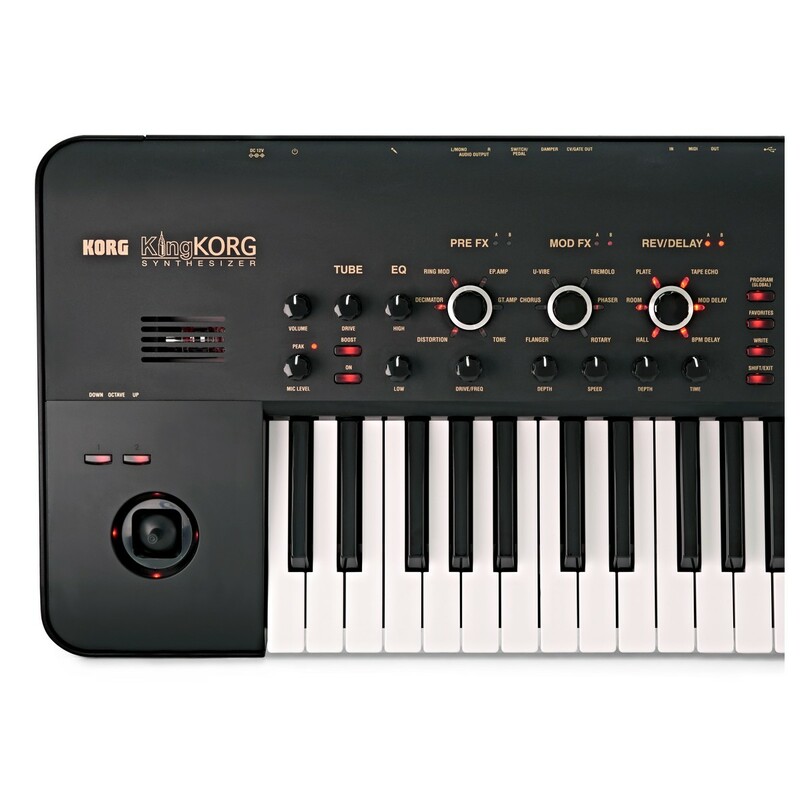 You can also manage programs on your computer by connecting your KingKorg to your computer via a USB cable. This allows you to use the Korg Librarian software which can be downloaded for free from the official Korg website. Connections: 6.3 mm, TS phone jack (Unbalanced) "L/MONO, R"